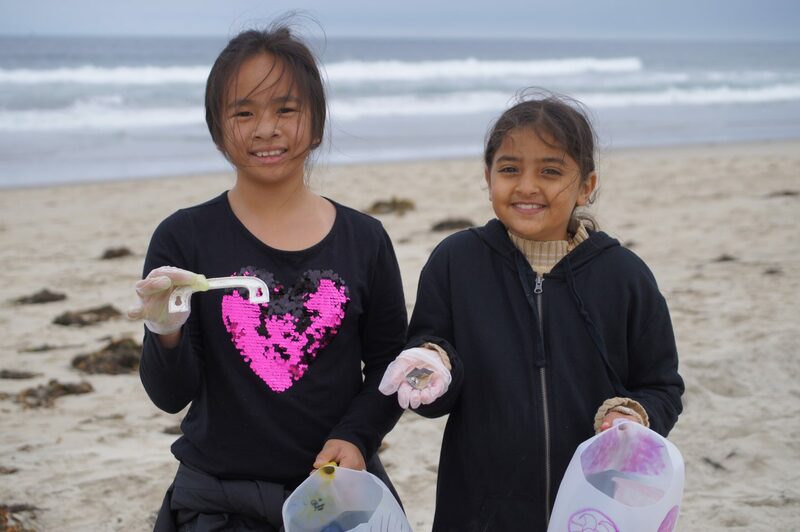 On May 24th, I Love A Clean San Diego celebrated its 20th Kids’ Ocean Day, fostering the next wave of environmentally informed and engaged students. Kids’ Ocean Day is not just an excuse for students to hang out at the beach during the school day. 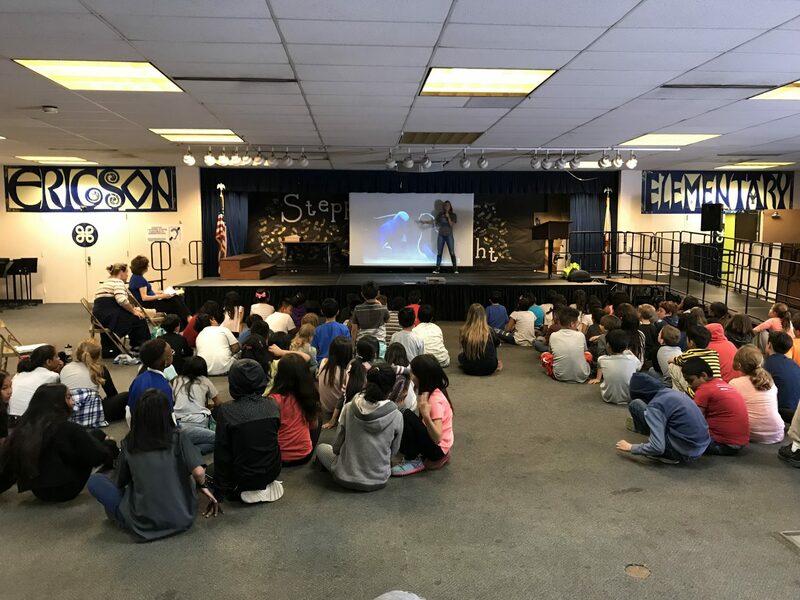 It actually begins weeks before in the schools with ILACSD staff facilitating educational presentations for local elementary school students! These students then join ILACSD and a team of volunteers at the beach for a litter cleanup and the formation of an aerial art piece. Over the 20 years that ILACSD has hosted Kids’ Ocean Day, we have engaged 20,816 participants and removed approximately 7,280 lbs. of debris from San Diego’s coastline. Each year, the five participating California cities determine a statewide-theme for the artwork. The 2018 theme – “Waves of Change” – evokes images of our youngest generations propelling us forward towards a cleaner, safer, and more mindful future. It illustrates how our daily choices, including what we eat, wear, discard, and purchase, have far-reaching effects. This message is broadcast to the world through the art formation. It serves as a call to action for others to join the cause and be mindful of consumption and disposal habits. Check out the video below to see the final aerial art image being formed! Students collected plastic debris on Mission Beach using re-purposed water jugs! We would not have been able to make “Waves of Change” without the help of our sponsors, our volunteers, teachers, and students! 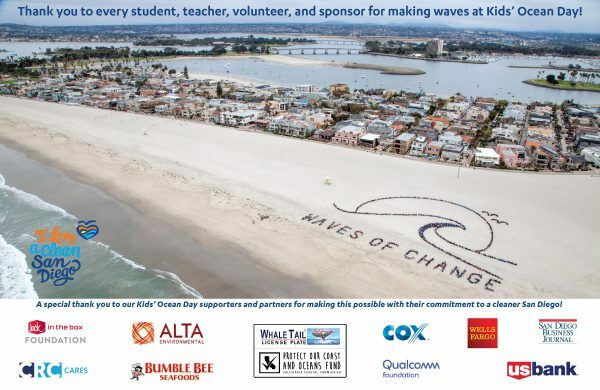 Thank you to all of our Kid’s Ocean Day sponsor for investing in a cleaner San Diego!